Yesterday we shipped Sherri’s roadster off to Portland. Western route for us. All the way. We are motoring from Rockford midday on TH 7/12 and heading West with a start in Sacramento to Keystone. We’re motoring from Portland to Keystone. 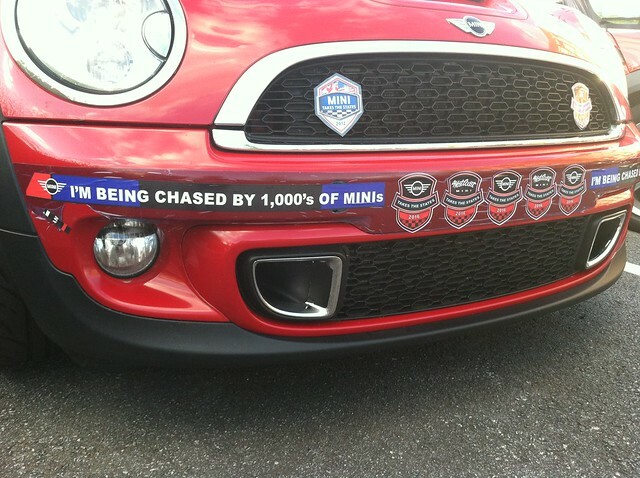 Shipped our MINI to Portland, and thanks to MINI of Orland Park and MINI of Portland for their assistance! Looking forward to fun road-trip and meeting up with other club members. Motor safely Steve, thats sounds like an ambitious weekend. I’ll be doing 2 days to get home, but no idea where to stay yet..